Now Division 2 police labor is complete. Each ingram has different head and shoulder include this AV-98 Ingram 3. 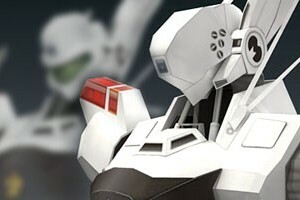 Patlabor (a portmanteau of "patrol" and "labor") refers to Mobile Police Patlabor, a manga franchise created by Headgear, a group consisting of director Mamoru Oshii, writer Kazunori Ito, mecha designer Yutaka Izubuchi, character designer Akemi Takada, and manga artist Masami Yūki. The manga received the 36th Shogakukan Manga Award for shōnen in 1991. 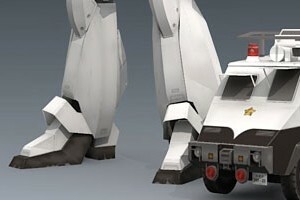 Patlabor (a portmanteau of "patrol" and "labor") refers to Mobile Police Patlabor, a manga franchise created by Headgear, a group consisting of director Mamoru Oshii, writer Kazunori Ito, mecha designer Yutaka Izubuchi, character designer Akemi Takada, and manga artist Masami Yūki. The manga received the 36th Shogakukan Manga Award for shōnen in 1991. Although is not the same scale with other patlabor paper models, this gunship is just a fine addition to PR (Paper-replika) Patlabor Series. 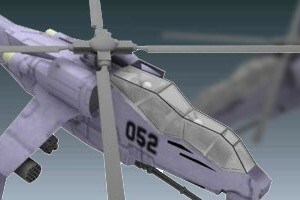 From Mamoru Oshii's Patlabor The Movie 2, comes the AFH-02 Hellhound Attack Helicopter. 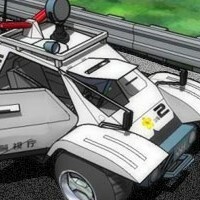 The Command Car from the original OVA series and the manga. Both Division 1 and 2 use the same type of Command Car. 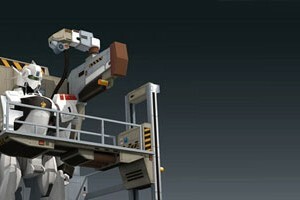 The "Forward" in the Patlabor team relays information to the Police Labor and assess situations from this vehicle. Built like a riot vehicle, it can take a lot of punishment, which is just as well when dealing with rogue Labors.